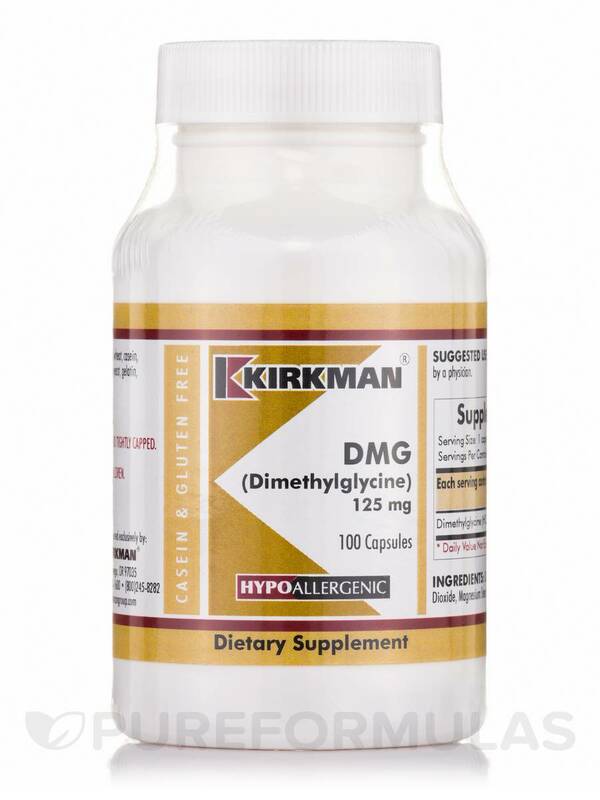 Kirkman’s DMG 125 mg provides DMG (dimethylglycine)‚ which is a substance that may work to promote general health in several ways. First‚ DMG—which is sometimes called vitamin B15—could potentially act to regulate mood and cognitive function. Specifically‚ DMG is a methyl donor‚ which means that it might play a role in producing neurotransmitters such as serotonin. 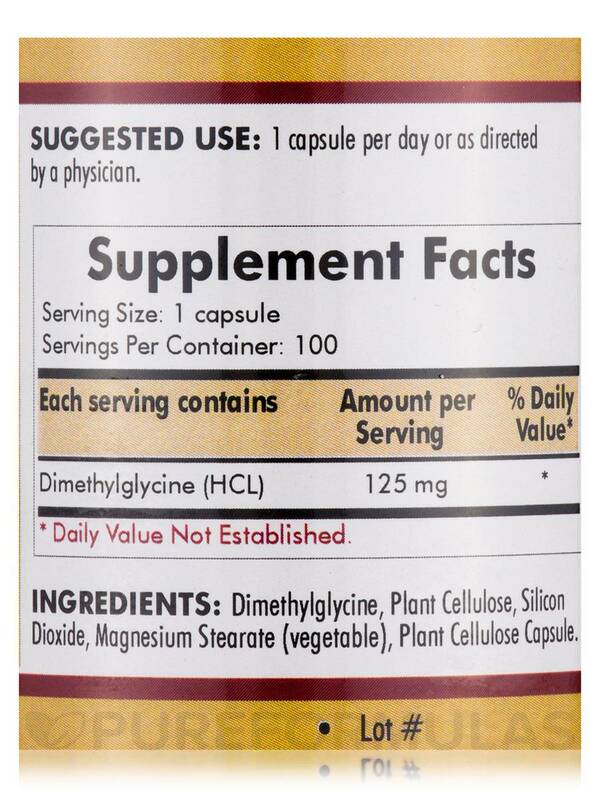 This DMG supplement may also have a gentle detoxifying effect. Moreover‚ DMG could potentially work to manage homocysteine levels. Notably‚ too much homocysteine can contribute to excessive blood clotting as well as damage to the lining of your arteries. 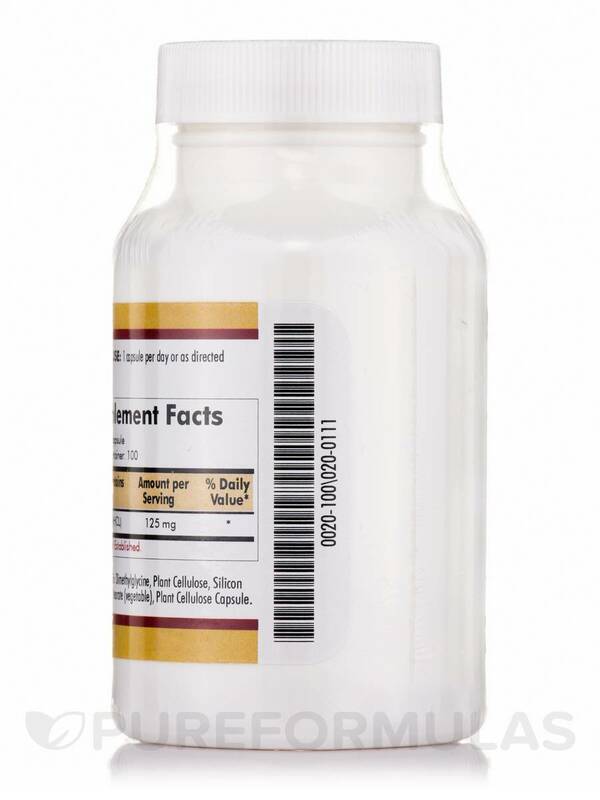 As a result‚ DMG 125 mg may act to maintain optimal cardiovascular function. 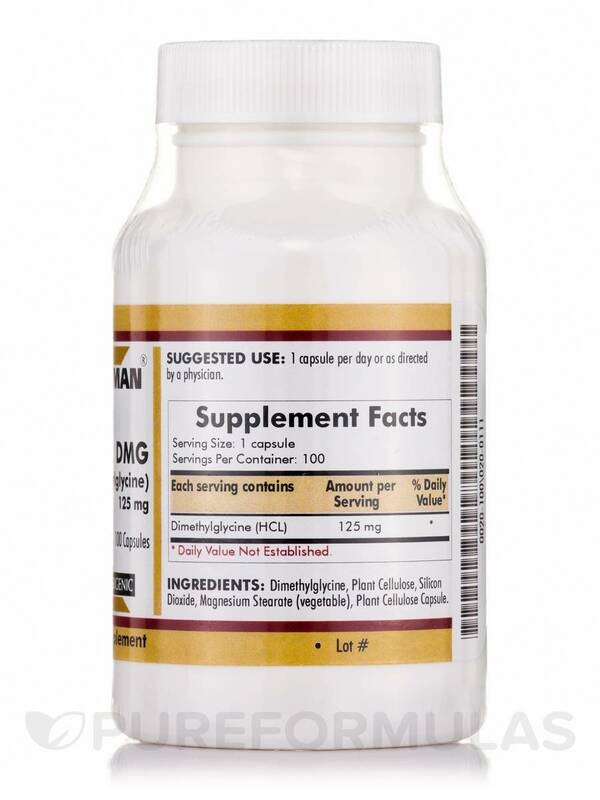 For these reasons‚ this supplement provides 125 milligrams of DMG in every capsule. 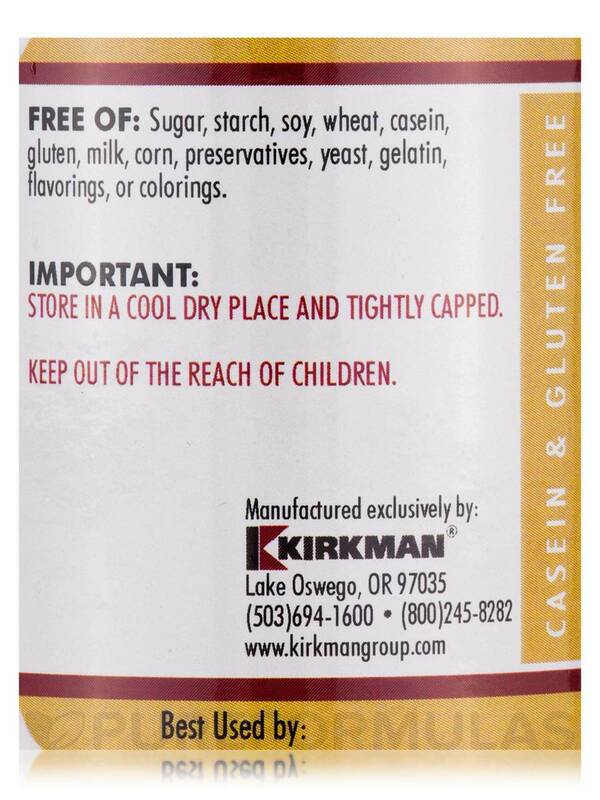 Last‚ Kirkman Labs has formulated DMG 125 mg to be hypoallergenic. Take one capsule daily. 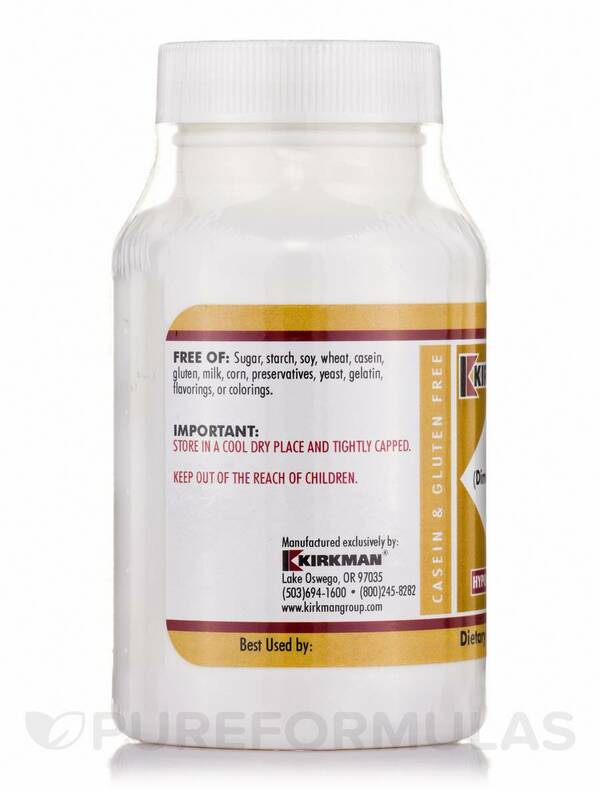 At the recommended serving size‚ each 100-capsule bottle of DMG 125 mg by Kirkman should last for over three months.